Ladies: did you feel left out by all of the dudely mustache-growing that took place during last month's Movember? Don't fret! Decembrow promises to allow you to loudly and proudly parade your forehead 'stache. Feministing is encouraging its readers (and if you're not among them, I recommend it. That blog is pretty damn thinky) to grow out their eyebrows this month in order to raise awareness of feminist causes. Of course, since it's ladies doing something, People Are Mad. Unsurprisingly, there have already been disparaging comments from anti-feminist groups, such as the religious group Concerned Women for America, whose CEO thinks it is "curious that feminists would choose to embrace facial hair", before quipping: "How is that different than any other month of the year?" Well, considering how often the words "hairy" and "feminist" appear in the same sentence, we may as well live up to the stereotypes for a good cause. Wow, Maude Flanders. Those are some pretty funny jokes. Hairy feminists? How novel! Tell me some more knee-slappers, please. Did you hear the one about the uptight busybody who plucks her 2010 jokes from a circa 1955 Elk's Club meeting? Regardless of whether or not you plan to participate in Decembrow, it seems like a waste to get one's pantaloons all twisted over other people trying to do something good for charity. 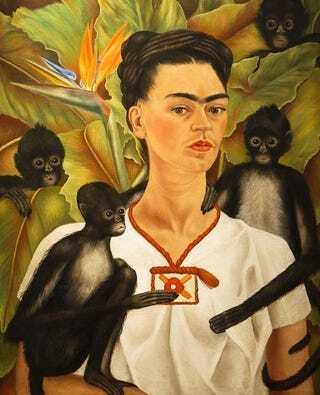 So, brow away, aspiring Frida Kahlos of the world. Full disclosure: my eyebrows won't be participating, as the first thing I do when I wake up is shave those fuckers off and then draw them back on with black Sharpies.